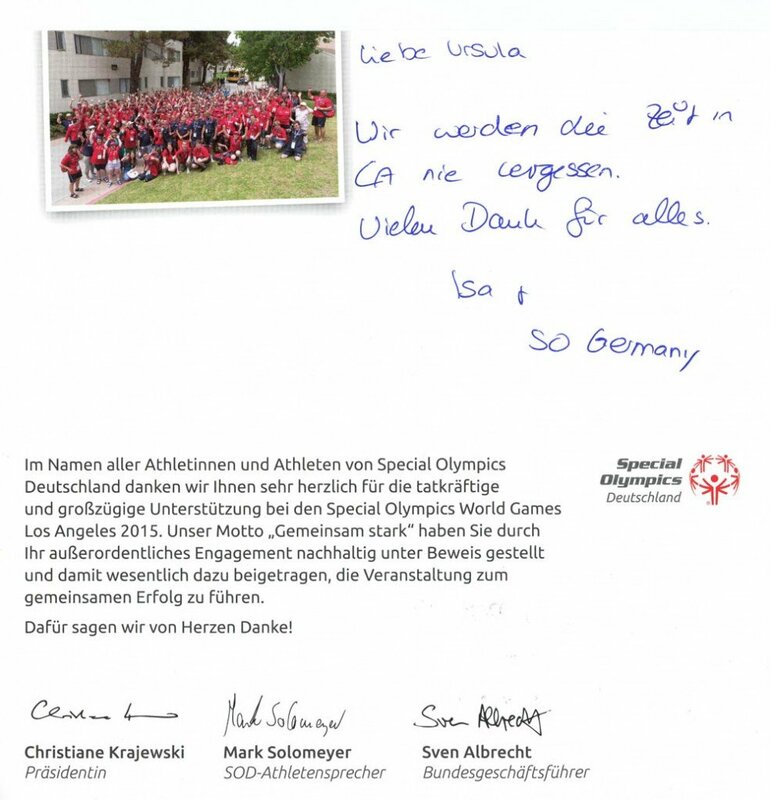 Ursula Schoeneich, my time as Delegation Liaison for the German Special Olympics team 2015 in Los Angeles. 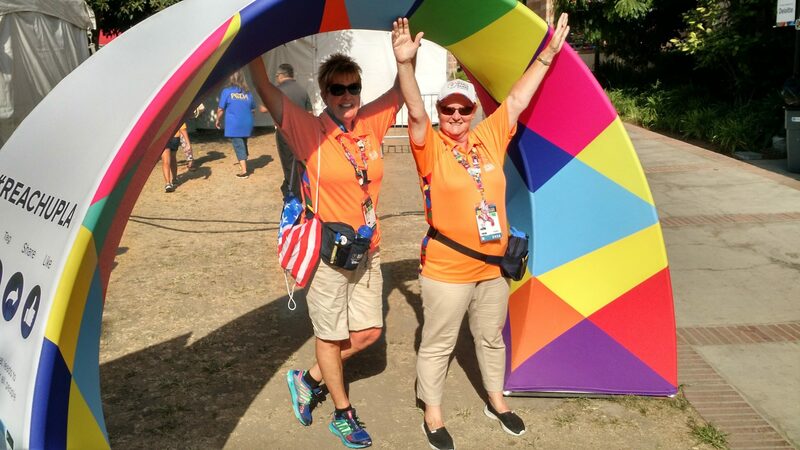 With 6,500 athletes and 2,000 coaches representing 165 countries, along with 30,000 volunteers and an anticipated 500,000 spectators, the 2015 Special Olympics World Games – being staged in Los Angeles July 25-August 2, 2015 – will be the largest sports and humanitarian event anywhere in the world in 2015, and the single biggest event in Los Angeles since the 1984 Olympic Games. 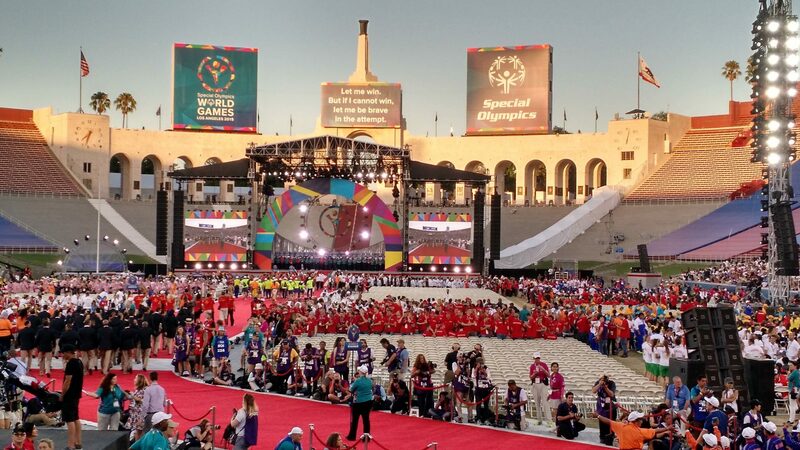 The 2015 Special Olympics World Games, with the unparalleled spirit, enthusiasm, teamwork, joy and displays of courage and skill that are hallmarks of all Special Olympics events, will feature 25 Olympic-style sports in venues throughout the Los Angeles region. The Opening Ceremony, to be held July 25, 2015 in the historic Los Angeles Memorial Coliseum, site of the 1932 and 1984 Olympic Games, is expected to attract 80,000 spectators. On April 30, 2014, LA2015 and ESPN announced a global programming deal that will see ESPN bring coverage of World Games to millions of fans around the world. 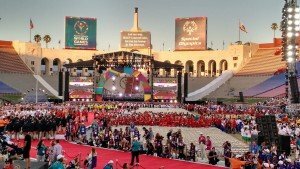 Honorary Chairs of the Games are President Barack Obama and First Lady Michelle Obama, with Los Angeles Mayor Eric Garcetti and California Governor Jerry Brown serving as Honorary Hosts.